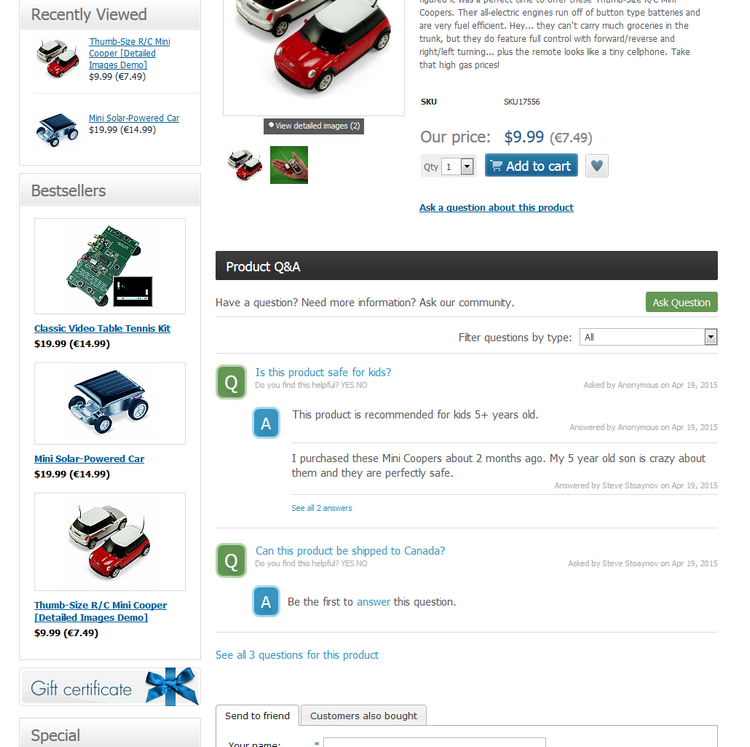 The Product Q&A module for X-Cart Classic is the only module available to allow customer to ask questions about products, receive and post answers and comment on them right on the product details page. 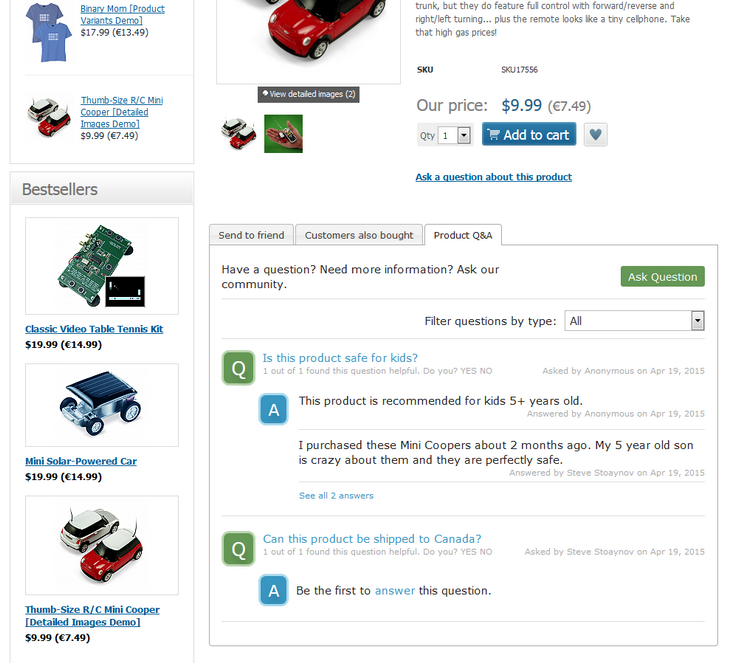 This allows the products pages to always have some fresh content when there are new questions and/or answers posted. 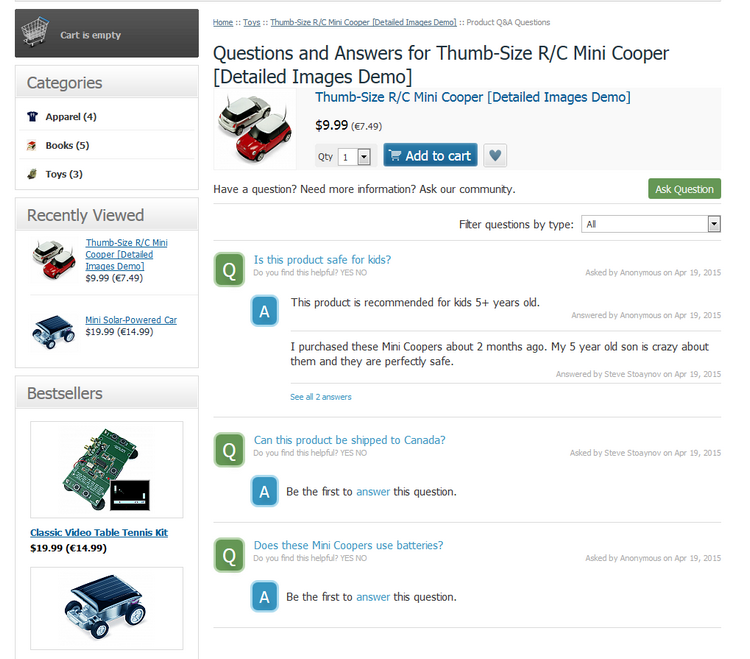 The module takes an aim at the store's customers by encourage them to ask questions and post answers so there is a little effort from admin when customers get involved. 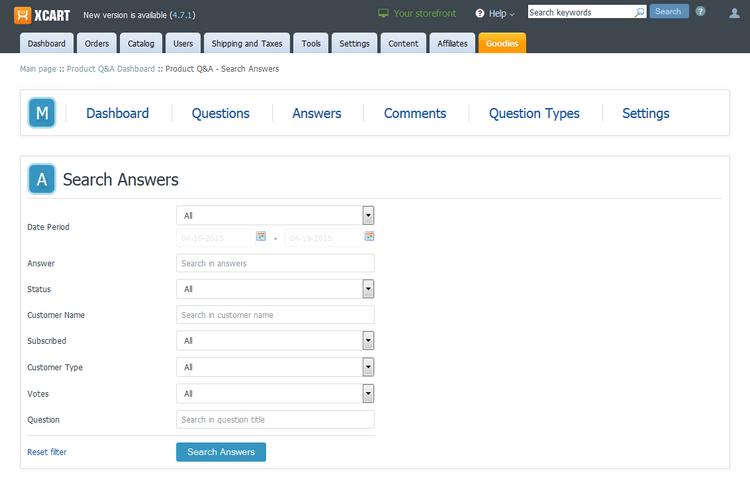 This not only helps the site's SEO but also builds customers trust and confidents when other customers post answers to questions about products they have purchased or used before. 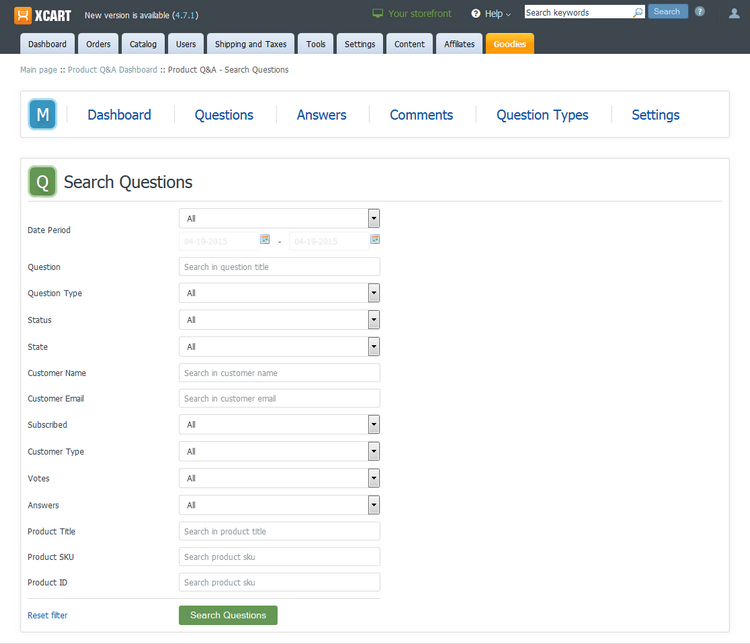 Admin can set who can ask and rate questions. Admin can set who can post answers and rate them. Admin can set who can post comments. 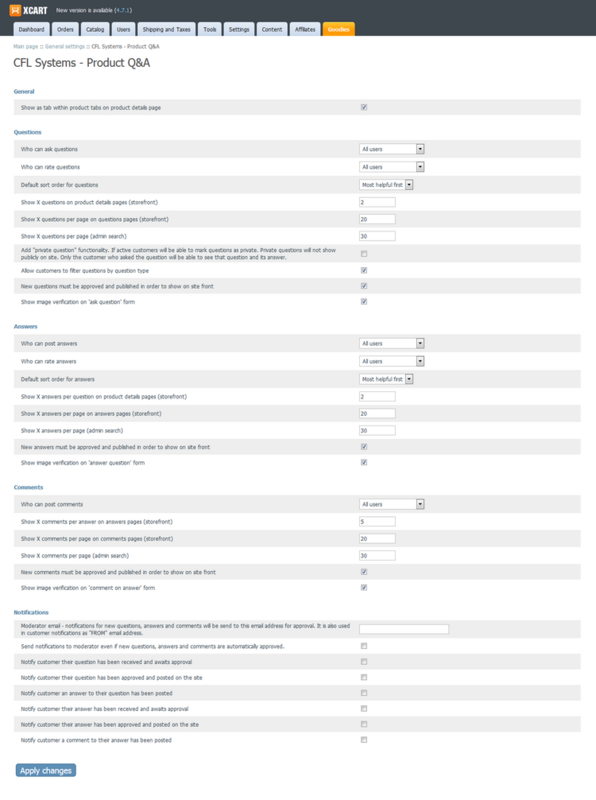 Extensive email setup who and when will receive notifications about posted questions and/or answers. 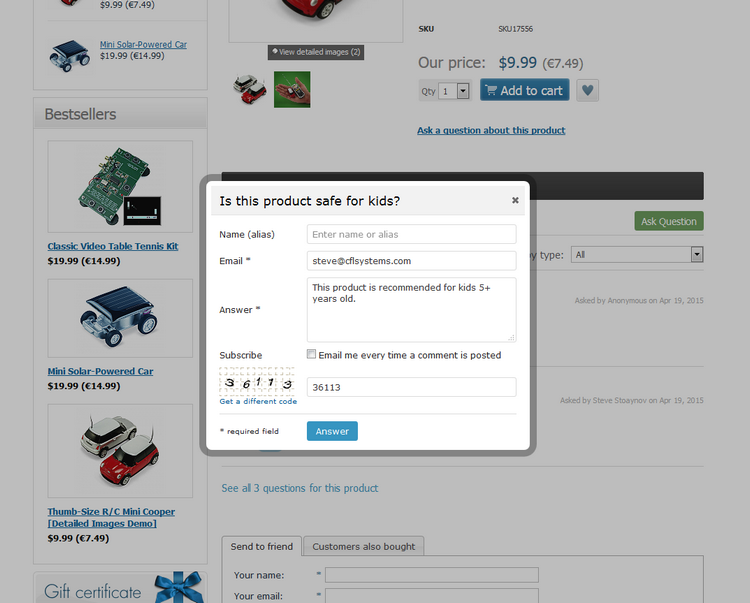 Questions/answers can be shown as part of the default products tabs or on its own. 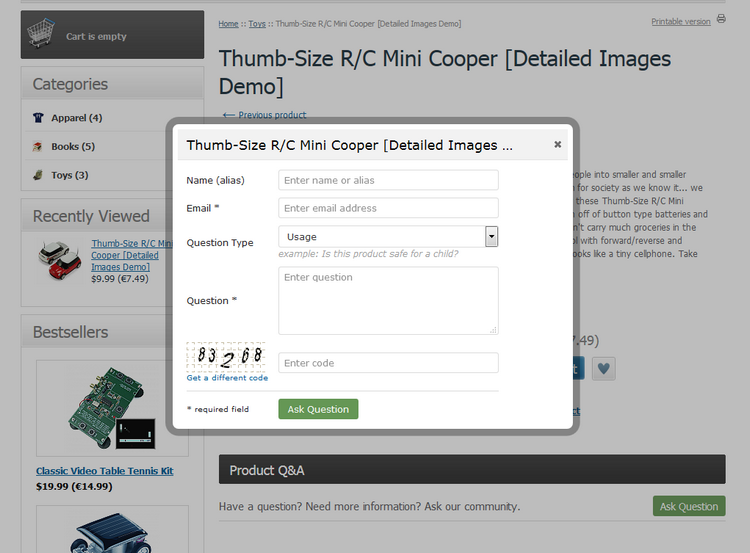 Questions, answers and comments forms can include the X-Cart built-in captcha. 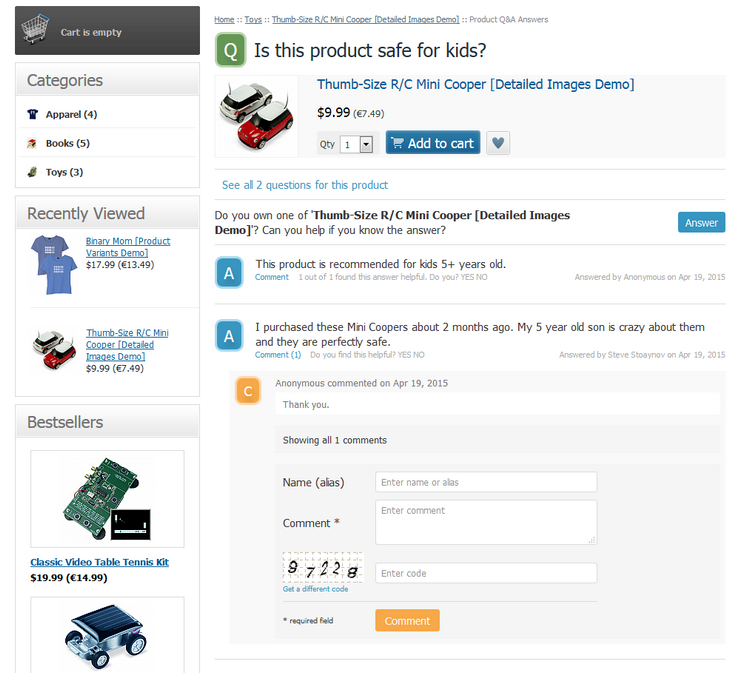 Customers can ask questions, post answers and comment. Customers can rate questions and answers. 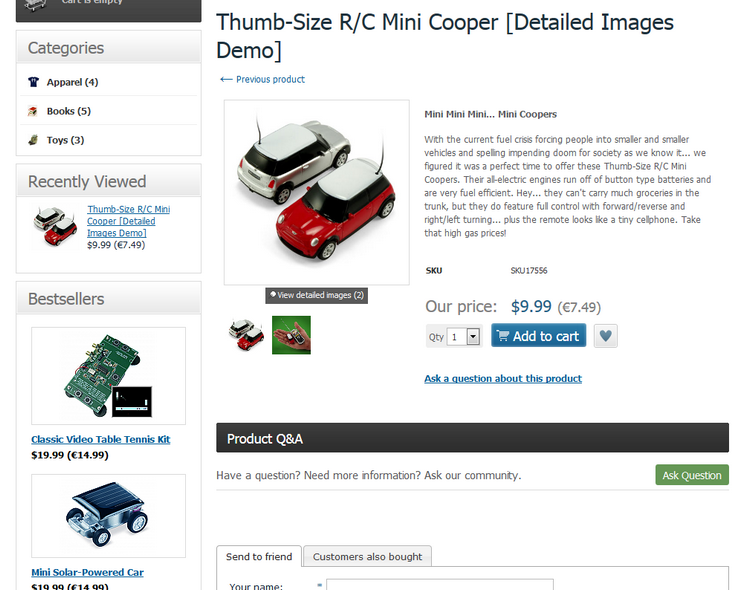 Module can be limited to certain IPs for testing purposes.